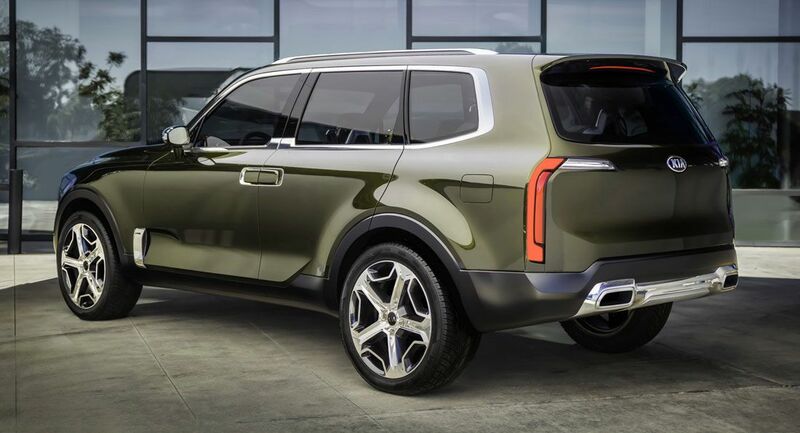 The production-spec Kia Telluride that’ll be launched next year will look a lot like the study that was unveiled in early 2016. 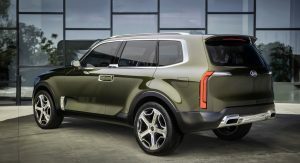 Motor Trend reports that the same muscular exterior design will be featured in the road-going model, making it appear radically different than any other Kia currently on offer. Key aspects of the concept‘s design included its square shape, rectangular front grille, pumped up arches and chrome window trimmings. After the Telluride hits the market, Kia will introduce a plethora of its styling cues into its other crossovers like the Sorento, Soul and Sportage. The similarities between the concept and production model won’t stop at the exterior. Inside, the SUV should feature the same luxurious materials and expansive dashboard with a healthy dose of wood trim and Nappa leather. 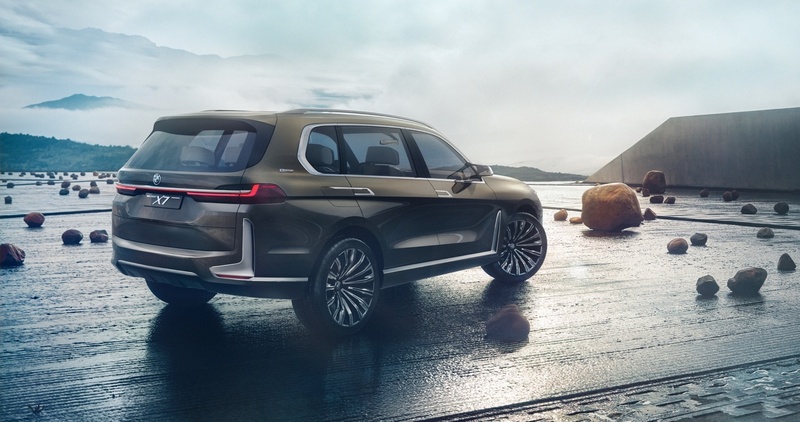 To ensure the vehicle appeals to SUV customers with a slightly less generous budget, a number of lower-end trims and a simple and intuitive infotainment system are also be offered. 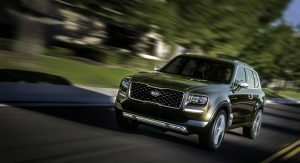 Underpinning the Kia Telluride will be a front-wheel drive platform utilizing Kia’s HTRAC AWD system, potentially as standard. 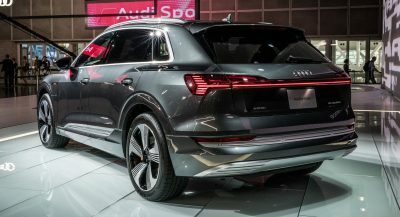 A 3.3-liter V6 delivering roughly 300 HP and 252 lb-ft of torque could be the sole engine on offer. Similarly, an eight-speed automatic transmission will be the only gearbox available. 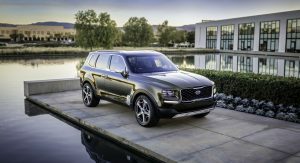 At roughly the same time when Kia launches the Telluride, sister brand Hyundai will introduce its own three-row crossover. Am I the only one seeing a KiMW TelluX7? https://uploads.disquscdn.com/images/f4d6ebb28c71fe2e2dc70c5c2e1ad8fc53c19c26b4b2998eb67174f1c857769c.jpg Getting all kinds of vibes from that back quarter view. Maybe its just me. And Alfa Romeo 7-seater, Full-Size Grand SUV Whats Year?? Don’t give FCA ideas. We’ll see a new Jeep Grand Wagoneer and Dodge Durango soon. A more performance oriented Alfa Romeo version may follow. I think the Kia came out first. I’m digging this SUV. 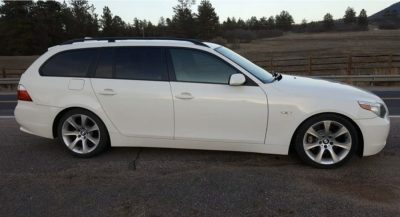 Could be a worthy replacement for my current when the time comes. Side bar: I don’t really need/want the suicide doors. I like it, it has personality. According to the spyshots, the greenhouse looks almost identical. The metal trim that wraps around the windows has the same kink on the B-pillar. The rear fascia should also look really similar with the long, vertical lights. …spy shots that this website posted themselves…apparently they don’t remember that they don’t need Motor Trend to tell them about this “inside scoop” lol. 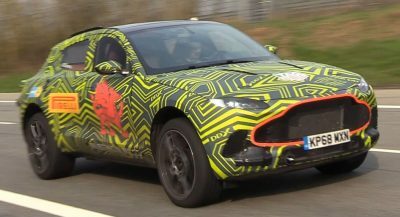 Based on the spyshots, one noticeable change is that the headlights are in a more vertical array. The things Kia needed to redesign were the headlights and the grille, so they, at the very least, did one. They keep harking on about how it will look like the concept but, the concept isnt even good looking!